Bandung City is the capital of West Java Province, Indonesia. This city is surrounded by mountains, and making this big city as one among many cities in Indonesia, which has a lot of natural attractions such as waterfalls. 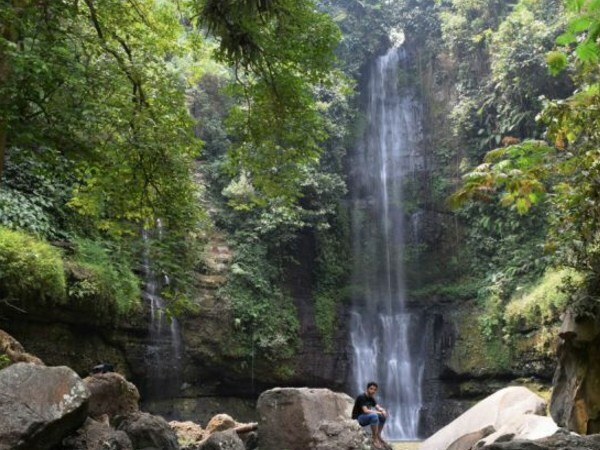 And in this article, we will discuss about some beautiful waterfall a.k.a Curug in Bandung Raya, which you must visit while on vacation in this area. Waterfall a.k.a Curug Malela is located in Cicadas Village, Rongga District, West Bandung. Many people call this waterfall as Niagara Mini at the western end of Bandung. 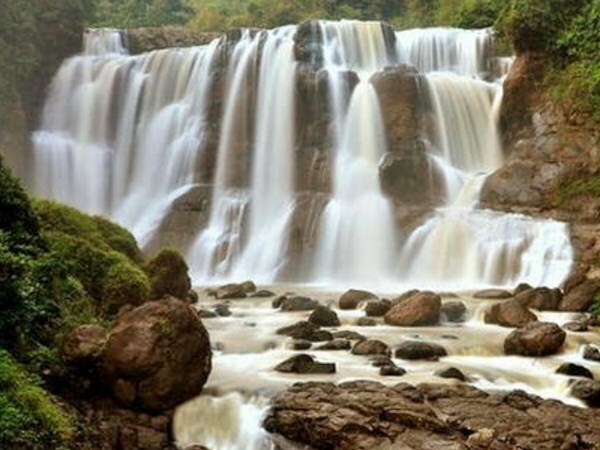 The width of Malela Waterfall is reached up to 70 meters and has a height of about 60 meters. Malela's name comes from the name of a King named Prabu Taji Malela, who is a figure for local residents. 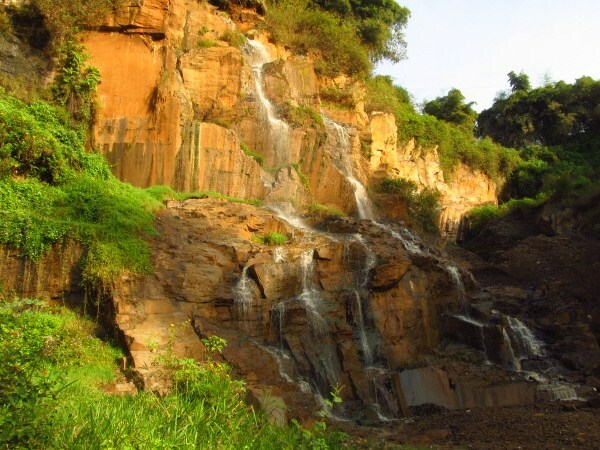 You can find the Prabu Taji Malela's grave on the cliff at the right of the waterfall. 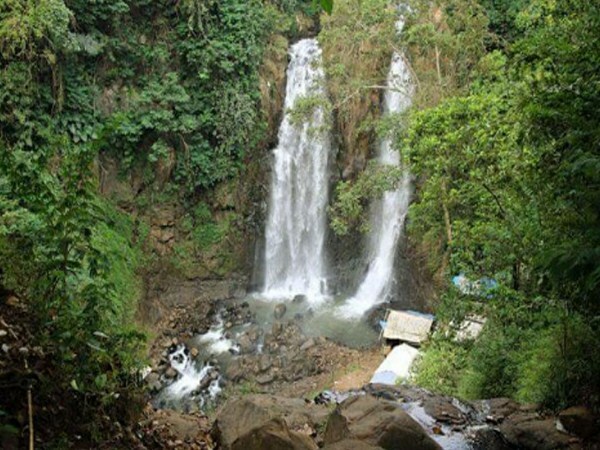 Waterfall a.k.a Curug Citambur is located on the border of Ciwidey and Cianjur regency. Access to this exotic place is quite difficult. According to local residents and also local authorities, it's believed that this waterfall has a height of about 130 meters. Waterfall a.k.a Curug Dago is located in Ciumbuleuit Village, Cidadap District, Bandung. 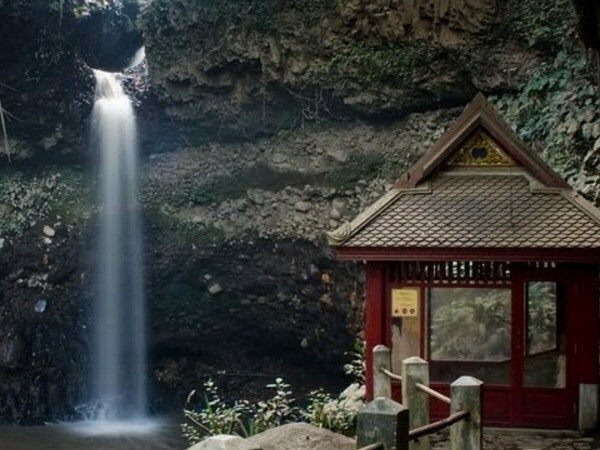 Dago Waterfall has a historical treasure from the Kingdom of Thailand. This is because, not far from the location of this waterfall, there are two inscriptions of a slate relic from 1,818. According to historians, these two inscriptions are relics from King Rama V (King Chulalongkorn) and King Rama VII (Pradjathipok Pharaminthara), whoever visit Dago Waterfall. 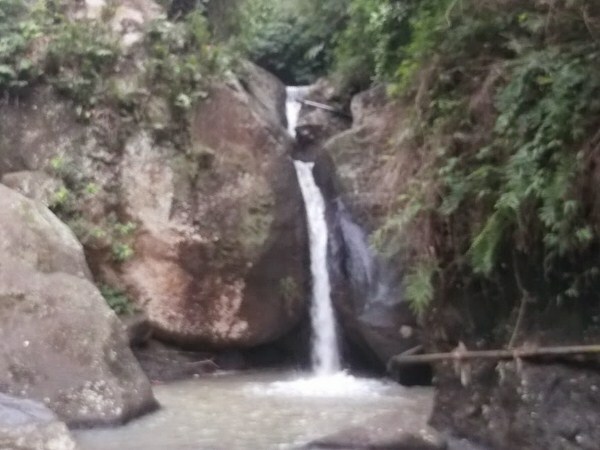 Waterfall a.k.a Curug Batu Templek is located in Pasir Impun, Ujung Berung. Uniquely, the water flow of this waterfall, come out from the sidelines of the rocks. Batu Templek is typical of Metamorphic rock, which is formed due to pressure and geothermal flux. Waterfall a.k.a Curug Panganten is located in Desa Padaasih, Cisarua District, West Bandung. Panganten Waterfall is located at an altitude of 1,050 meters above sea level and has a height of about 50 meters. Waterfall a.k.a Curug Bugbrug is located in Kertawangi Village, Cisarua District, West Bandung. This waterfall is located at an altitude of 1,050 meters above sea level. The perfect time to visit Bugbrug Waterfall is during the rainy season. When the rainy season, the water volume of this waterfall is very large, and that is the main attraction of Bugbrug Waterfall. Waterfall a.k.a Curug Sawer is located in Cililin Village, Cililin District, West Bandung. 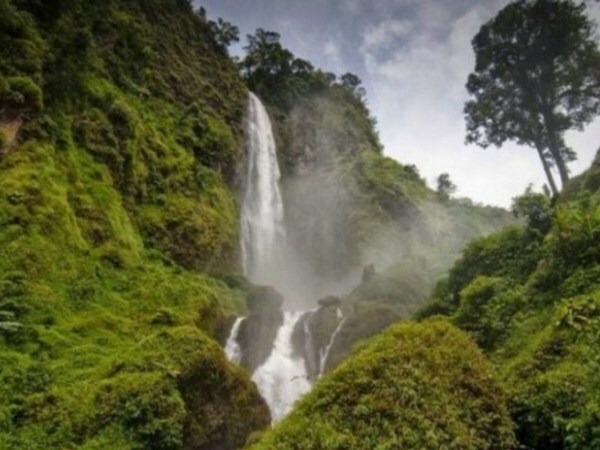 Sawer Waterfall is managed by KPH Perhutani and is located at an altitude of 1,700 meters above sea level. Waterfall a.k.a Curug Cinulang is located on the border between Bandung City and Sumedang City. 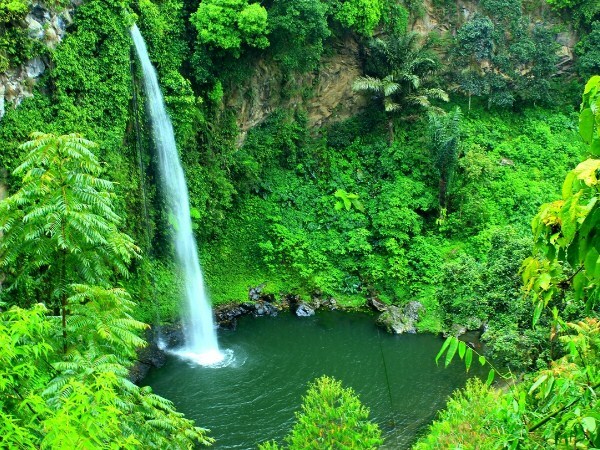 Cinulang Waterfall is a twin waterfall that has a height of about 50 meters and located at an altitude of 1,000 meters above sea level. At the time of the rainy season, this waterfall has a fairly heavy flow of water, so we shouldn't too close to the center of this waterfall. Waterfall a.k.a Curug Omas is located inside the Forest Park (Taman Hutan Raya or Tahura) Ir. H. Juanda, and it's in the Maribaya tourist attraction area. This waterfall has a height of about 30 meters, which on the Cikawari river. Above this waterfall, there is a bridge. That's the 9th beautiful waterfalls in Bandung Raya. 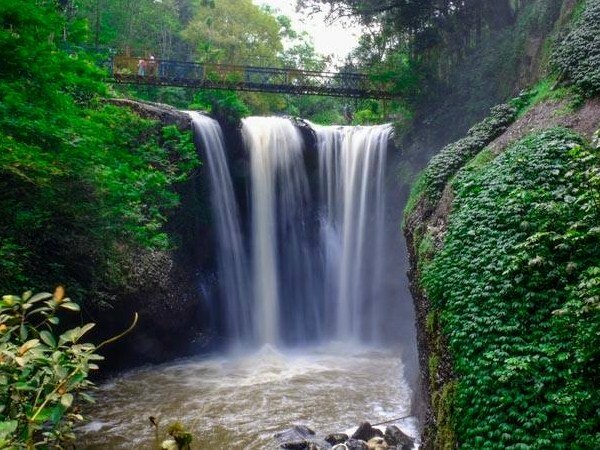 Surely, for those of you who are nature lovers, the natural attractions of a waterfall that we have discussed above, can be an alternative tourist attraction that you must visit while visiting Bandung City. However, remember to always keep the beauty of these tourist objects, by maintaining cleanliness at these places.